Kixeye, a San Francisco-based gaming company, is opening a 50-person development centre in Victoria’s downtown core, according to this news story. According to Clayton Stark, the firm has already received “many, many CVs” and aims to open shop in January. Stark is best known as the creator of Flock, a web browser that integrates social media. Flock was bought by gaming giant Zynga, famous for making Farmville, in 2011. Microsoft already has a gaming studio in Victoria. I’m going to be speaking at a VIATEC event next week called ‘The Story of You.’ It’s a PR workshop designed for technology start-ups looking to win positive media coverage. I will be presenting along with Robyn Quinn, from Big Bang Communications and Priologic Software, and outlining what is needed for a basic PR tool kit and sharing strategies to win positive media coverage in the technology sector. Essentially, we’ll be teaching people how to tell stories about their business. The event takes place on October 25 between 2pm and 3:30pm in the VIATEC boardroom. It’s free for VIATEC members and you can email Robyn, for more details or to reserve a spot, on robynquinn@shaw.ca. Find VIATeC on the 2nd floor, 2659 Douglas St. Victoria, BC V8T 5M2. So I’m the PR person at AbeBooks.com and have been either a PR person or journalist since 1990. Aside from my work at AbeBooks.com, my technology PR experience includes promoting British Telecom and BT Cellnet in the UK. I have also worked in PR for the National Football League and been at AbeBooks since 2005. I hope to see you there. Marine researchers in Victoria received a financial boost earlier this month as federal and provincial governments put $41.7 million in funding towards Ocean Networks Canada. Ocean Networks Canada is a University of Victoria project that uses sensor technologies to gather data and images from the sea floor and then streams it around the world. 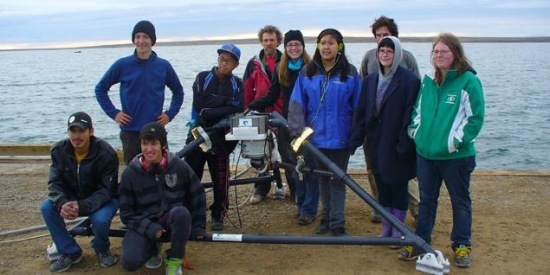 The program includes a tsunami early-warning system, instruments to improve marine safety, and the first underwater instrument platform in the Arctic. The Canada Foundation for Innovation’s major science initiatives provided $32.8 million and the Ministry of Advanced Education added $8.9 million. There’s an interesting post on the Techvibes blog about Jesse Learmonth, founder of Bet Smart Media, who runs a group on Meetup.com targeting Victoria’s small technology entrepreneurs and tech businesses with ambitions to expand. A meeting last month was attended by around 85 people. The group has been going for 12 months and is going from strength to strength. Victoria is a town full of tech startups so this makes sense. The group can be found on Meetup.com under Technology Startups in Victoria. They meet once a month. 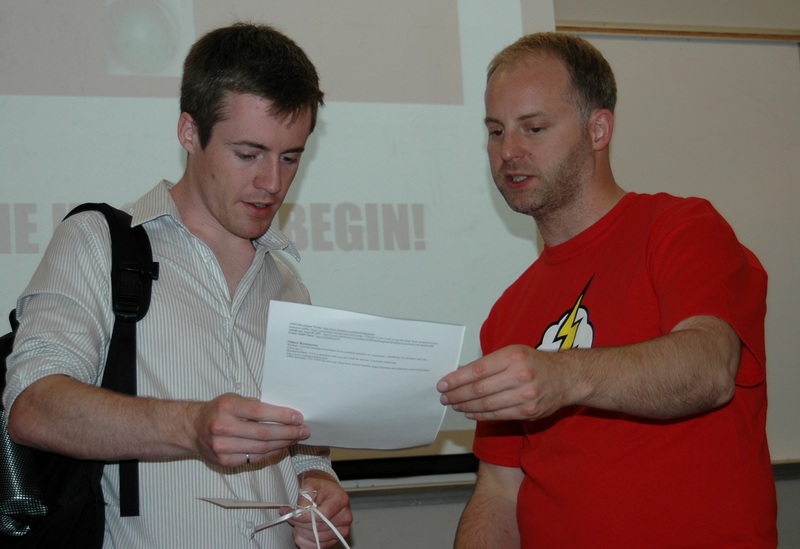 The first AbeBooks’ Hackathon took place over the weekend at the University of Victoria. 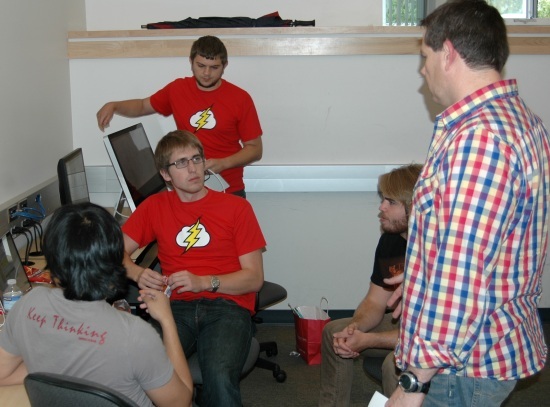 Teams of students from the computer science program took part in the contest that began at 4pm on Friday afternoon and continued for 24 hours. The challenge was to conceive and produce an innovative application using the Amazon Web Services (AWS) cloud computing platform, and then demo the product to a team of developers and engineers from AbeBooks.com. 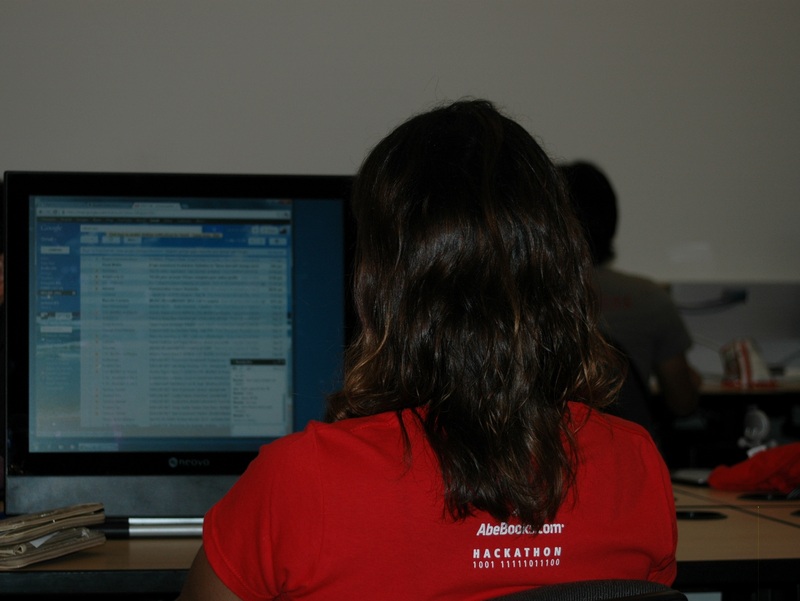 One group of students stayed up the entire 24 hours, working in the computer lab at UVic. Members of staff from AbeBooks were on-hand throughout the 24-hour period to lend advice and encouragement. Prizes were handed out at the conclusion. “It was great to see the range of ideas that the teams developed; everything from sentiment analysis of tweets to predict the US presidential election and scalable real-time message distribution to a playlist recommendation system that was designed to learn what you like to listen to where,” said Tim Munro, director of engineering at AbeBooks. It was free to participate and entrants received a copy of a book called Programming Amazon EC2 by Jurg van Vliet, a commemorative t-shirt and enjoyed a valuable learning experience with AWS. See more photos from the event on Flickr.